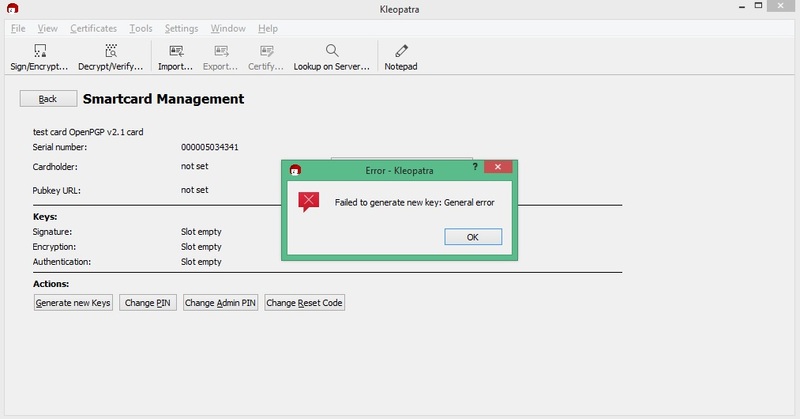 I can use that key to encrypt/decrypt/sign/verify from Kleopatra tool. Maybe Kleopatra tool lock our card and don't permit use out card with this tool. Please guide to help me and help me this problem. It will work in the next release.